The Rotary Club of Gaylord was established in 1956, chartered from the Petoskey Rotary Club. For over fifty years progressive individuals have made the difference within the community of Gaylord and around the world. Rotary International has made many a young professional better by allowing them to get involved. Rest assured no advancement in life or within a community will move forward without effort. 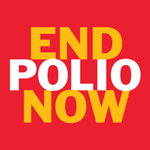 Rotarians around the world have succeeded in taking on the challenge of ending polio, cleaned the drinking water of third world countries and building schools and hospitals all over the world. Nothing can improve a persons confidence and self worth until they have shared in the improvement of a human life.